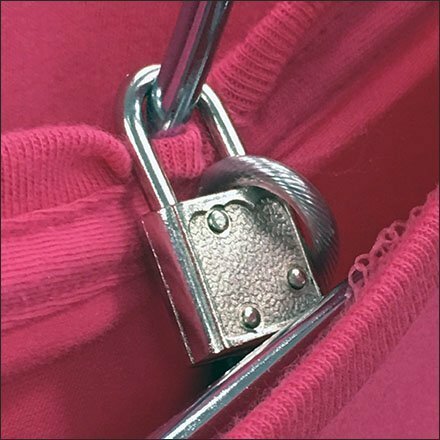 This Mercedes Benz Anti-Theft Tee Lock Tether hints at the collectors status of Mercedes Benz branded apparel, particularly in pink. This is not a mainline Mercedes color, nor Designo designer color, nor even Mercedes Benz Crazy Color. So it must be a true rarity and worthy of this Mercedes Benz Anti-Theft Tee Lock Tether. Seen at Motorworld Group, Wilkes-Barre, Pennsylvania.